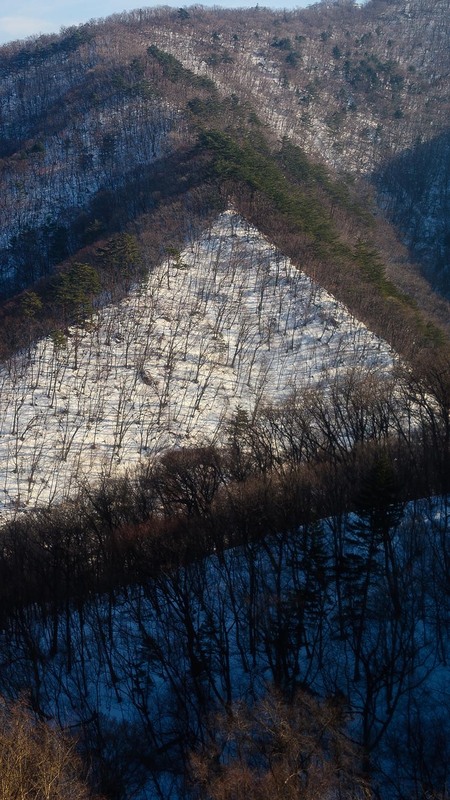 Walking around Yongpyong Ski Resort for the first time, I couldn’t believe I was actually there. For two decades, my dad – Kwahn W. Kim – had worked as the resort’s chief architect. Though I had never been there, I had seen photographs of the resort my entire life, and now, I was part of the scenery. 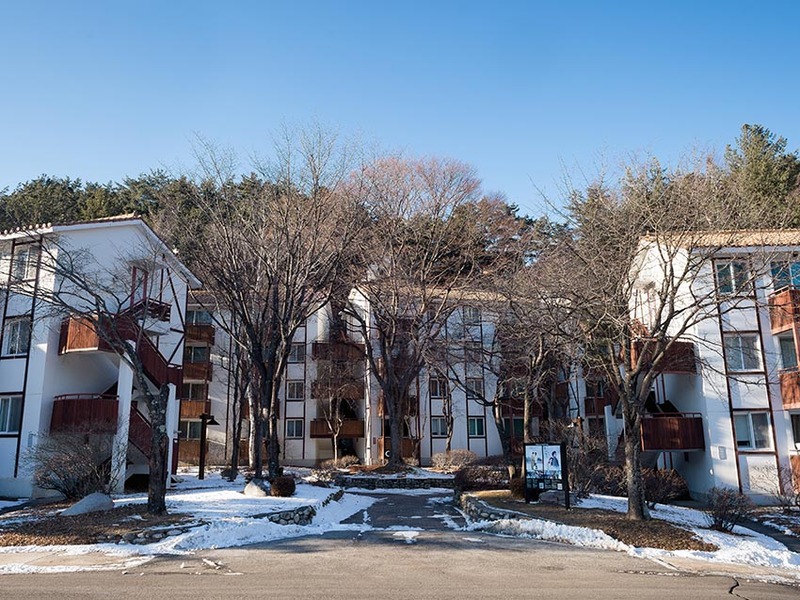 Yongpyong's first condominium buildings, completed in 1981. The 200-unit complex was part of my dad's winning submission for the 1984 Korean Architects Association Grand Prize. Families rolled suitcases from their cars. A chime played in the distance, preluding an announcement for the skiers on a nearby hill. I stood among the buildings that my dad had designed and built. The Dragon Valley Hotel, the condominiums, the golf course clubhouses: They were all here, and they were real. My dad wasn’t with me. He died in 2005 after a short but vicious battle with cancer, weeks before my high-school graduation. But I pictured us there together, walking the same meandering paths and breathing the same brisk air. We watched the snow gently dust the trees. I felt closer to him than I had in years. 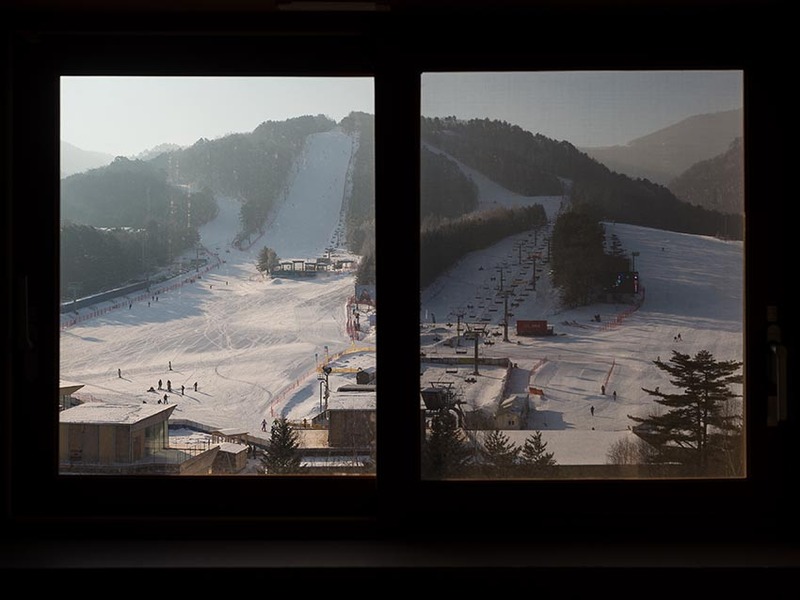 I grew up knowing Yongpyong Ski Resort was one of my dad’s great accomplishments. I also knew that the resort had arguably set the course for our family’s story – during one of his many business trips to study other ski resorts, my dad visited Vancouver and fell in love with the West Coast of Canada. A scanned page from my dad’s portfolio book, which chronicles the significant works over his 20-year career. My dad took all the photographs that appear in the book. Pictured in this spread is the Dragon Valley Hotel. When my dad retired, my parents decided to move to Vancouver. They believed my sister and I would find more equality and opportunity here. We never looked back. 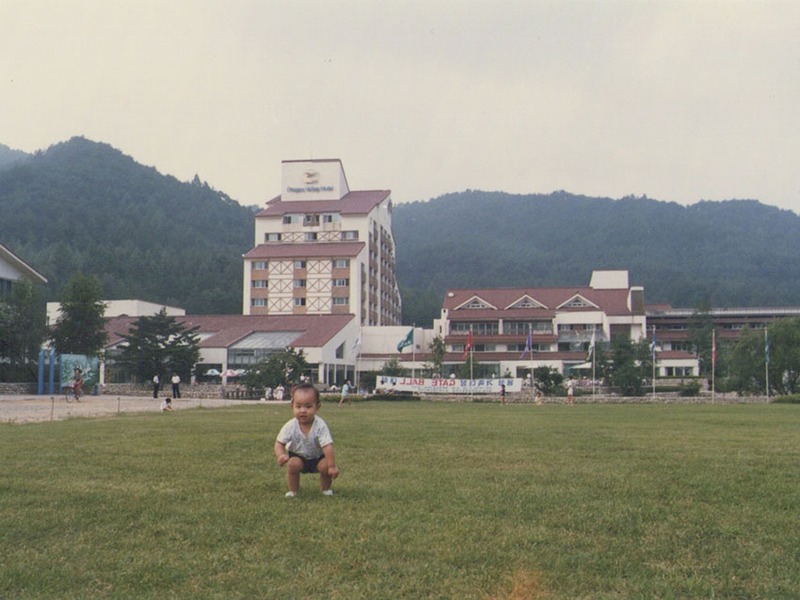 After immigrating when I was six years old, we rarely returned to Korea, let alone the resort. His work at Yongpyong became history. My dad didn’t talk about it, and I didn’t ask him about it either. We lived the story many first-generation immigrants know too well – with fewer and fewer places to find common ground, we drifted apart in our new home country. I was embarrassed he didn’t speak English well. I was angry he didn’t show affection like the parents of my Canadian friends. We argued about what it meant to be successful and happy, and how to get there. As I tried my best to blend into my new life, the more I pulled away from him. Silent dinners and drives to school became our norm. The day before he died, my dad held my hand and told me he loved me. It’s the one time I can remember him saying those words. I remember wishing, in that moment, that instead of disagreeing with him at every turn, I had instead spent that time asking him about his work, his dreams and his regrets. The hardest part of mourning was realizing I had barely known him. 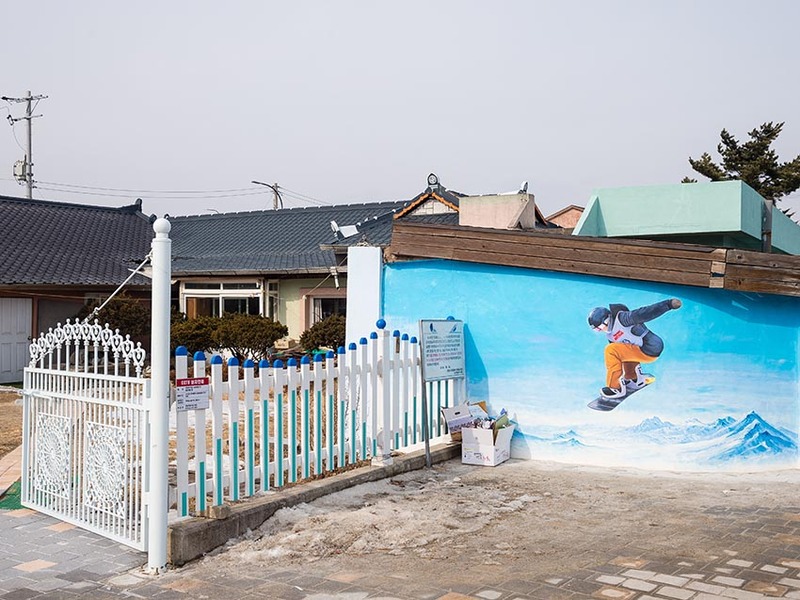 A mural in the nearby town of Hoenggye, located 10 minutes away from Yongpyong Ski Resort. The small town was the only place my dad could stay when first working on the resort. It is now home to Pyeongchang Olympic Stadium, where the opening and closing ceremonies will be held. 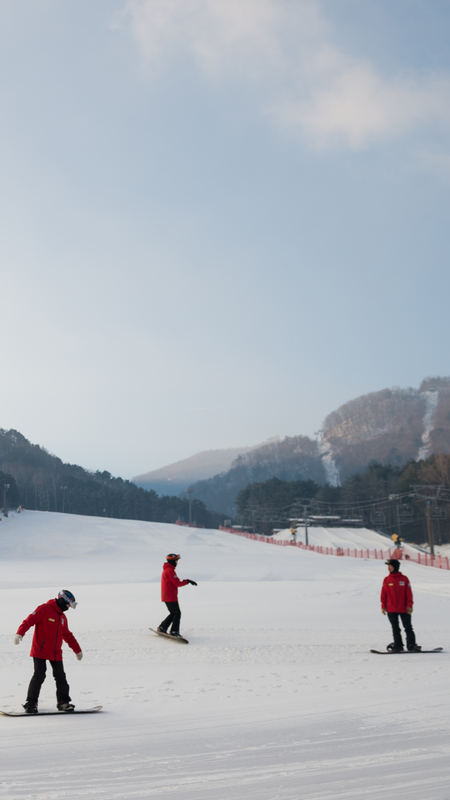 When Pyeongchang won the bid to host the Olympics, and Yongpyong Ski Resort was named one of the host sites, I knew I had to visit. 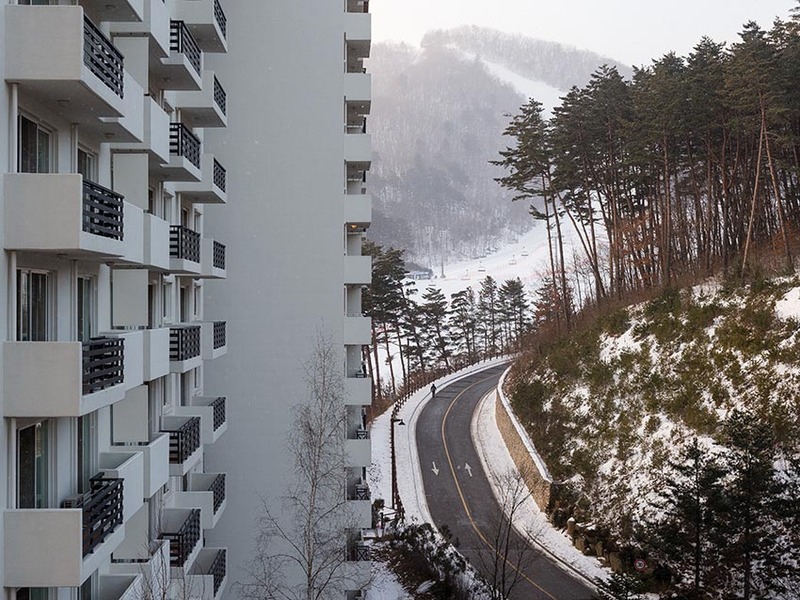 My dad didn’t live to see his resort get the Olympics – the closest he got was back in 2003 when Pyeongchang had made its first bid and lost to Vancouver. 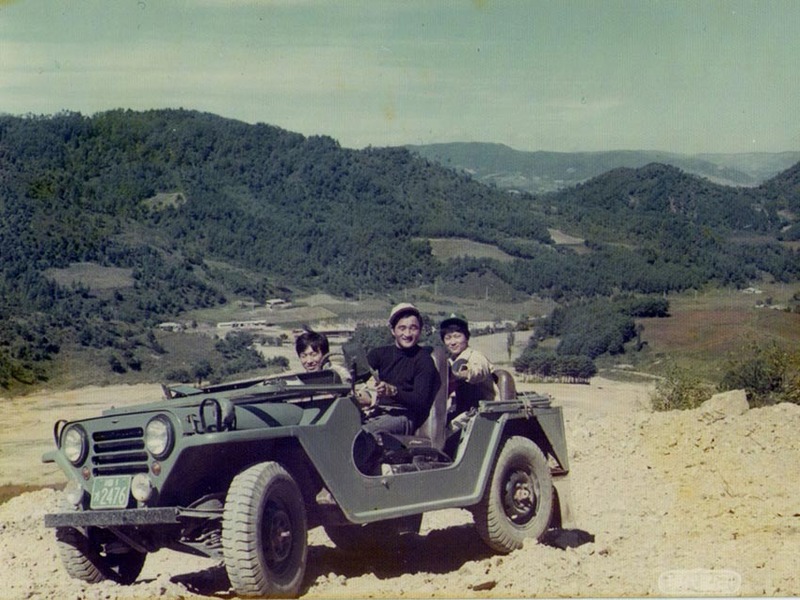 My dad, Kwahn W. Kim (left), on one of his early trips to Yongpyong Ski Resort, circa 1974. Mom described my dad's long and frequent trips away from home while he worked on the resort. The more I talked to my mom, I got the sense Yongpyong was a bittersweet memory for her. While she was very proud of him and his work, his dedication had come with sacrifices. Although she flew with us to Korea, my mom declined to visit Yongpyong with my wife and me. When I told my mom about my plans, she searched her house and found family photos, magazine articles and blueprints I had never seen before. Another scanned page from my dad's portfolio book. The book has been an ever-present figure on my bookshelf. Until my visit in January, it was my only point of reference for the resort. To see with my own eyes the scenes he had photographed was worth the trip on its own. Poring over these documents, I learned about my dad’s work and philosophy. 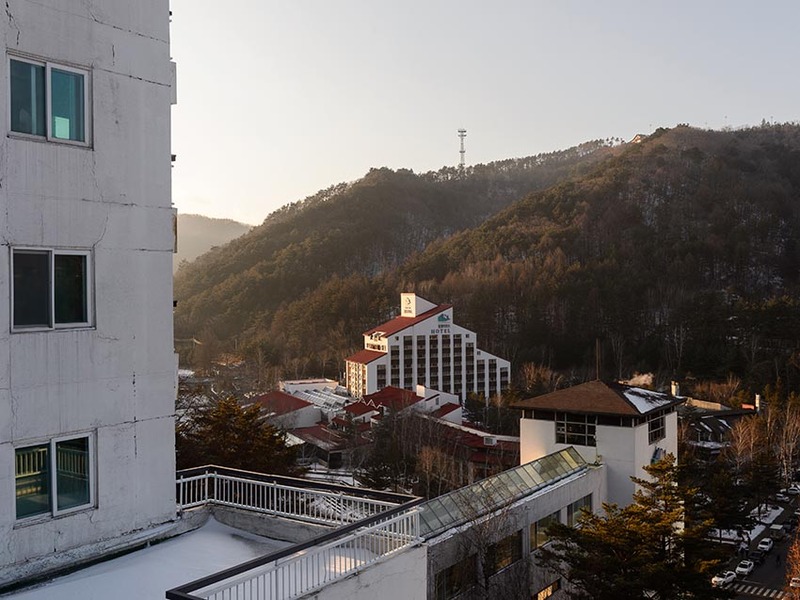 He was only 28 when his company, Dae-Ho, started work on the resort. 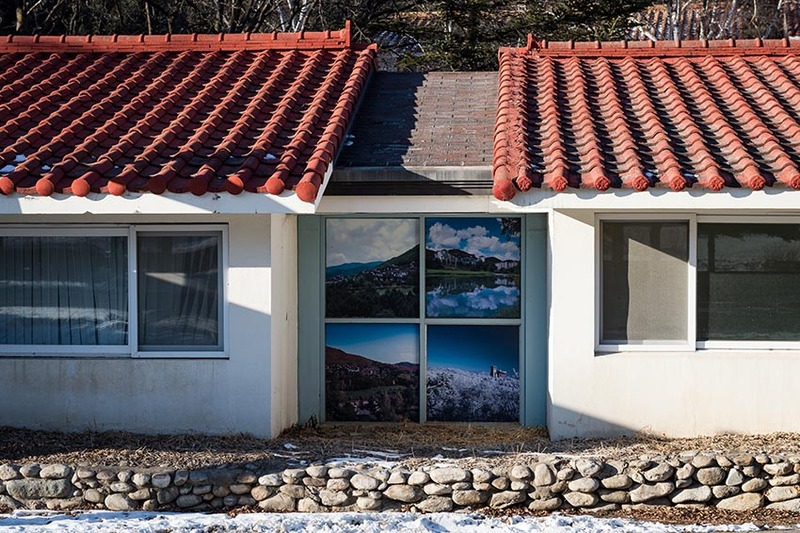 Yongpyong became the first ski resort in South Korea, marking a turning point in history when everyday Koreans could afford leisure activities – a remarkable feat considering the country was one of the world’s poorest following the Korean War. While he worked on many significant projects during his career, including university buildings, research centres and corporate headquarters, Yongpyong was where he poured his heart and soul over the span of his 20-year career. He once claimed that his love for the resort was equal to his love for his children. His dedication to the project came with sacrifices. 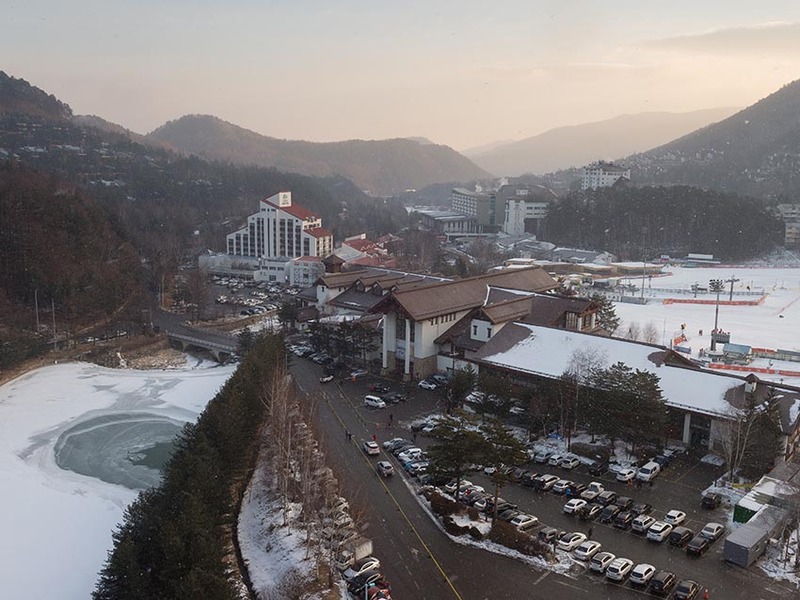 Mom described his long trips away from home; with no trains or highways, a typical drive to the resort took my dad 13 hours (now, a journey from Seoul via the Korea Train Express takes about 90 minutes). When he was home, my parents rarely spent time alone – Dad and his employees would spend late nights working in their cramped apartment, while Mom cooked meals for everyone. I met families who were visiting Yongpyong for the first time, and others who had been visiting since the resort opened. I have no recollections of visiting. I thought of him constantly as I saw families creating memories together at the resort he built. 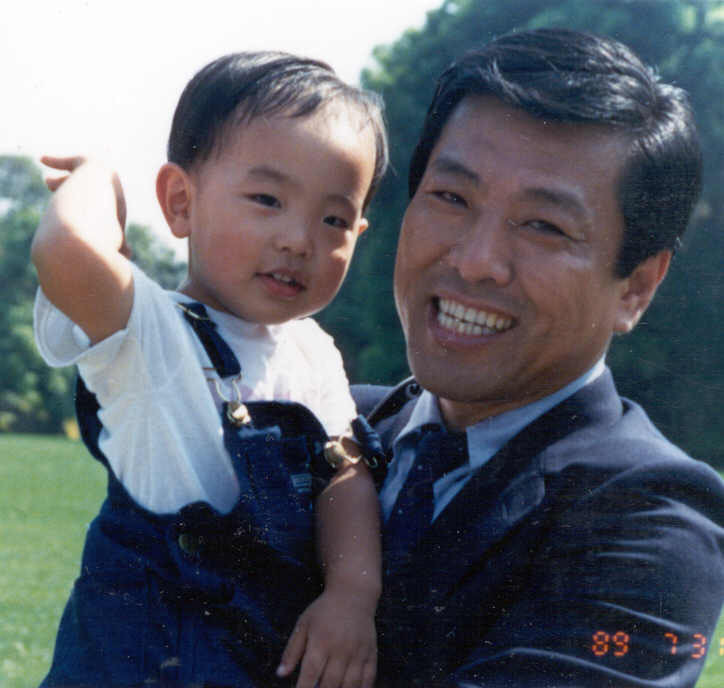 I decided to visit Yongpyong to do a photo project about my dad and the work that had defined his career. I wanted to feel and, if possible, capture his presence at the resort. But in the weeks leading up to my trip, I agonized whether it was too soon – I didn’t feel ready or mature enough to do my dad’s story justice. Then I read an article featuring my dad, written near the 10th anniversary of the resort’s opening. His designs had won a prestigious award from the Korean Architects Association, earning him some minor fame. In the article he lamented he had been recognized too soon and that he considered his first works at the resort as embarrassing early failures. I could only laugh – I tried for so long to be different from him and it was a reminder that in many ways, I am his son. No amount of preparation would be enough. I just had to go. Thirteen years after his death, I still daydream about having conversations with my dad. Walking around the resort, seeing the physical manifestations of his creativity and hard work, made me think about what our relationship might have been like if he were still alive. We had disagreed the most on what it meant to achieve success and happiness. After he died, Mom told me Dad saw himself as an artist who never enjoyed the business aspect of his company. I had an inkling – after his retirement, he had devoted himself to watercolour painting. Dad was most at peace sitting in his office in front of a canvas, sketching and painting scenes. As a father, however, he had pushed strict and traditional definitions of success. Everything, like his work, was to be done to perfection. I was encouraged to dabble in arts and sports, but never too much, as it would distract from school. I needed to go to an Ivy League university, nothing less, so I could study the “right” major and work in the “right” career. For some time, I was angry. I found it hypocritical he had pushed these ideas when he had found his own happiness in creativity. Of course, now I know why he pushed so hard – no parent wishes a life of risk and uncertainty for their kids. But I wish it wasn’t his absence that finally made me feel free to pursue what I wanted. Instead, I hope that we would have grown to understand each other. Maybe we would have opened up to each other about what drove and frustrated us. Maybe we would have bonded over our mutual love for photography. Maybe we could have even created something together. 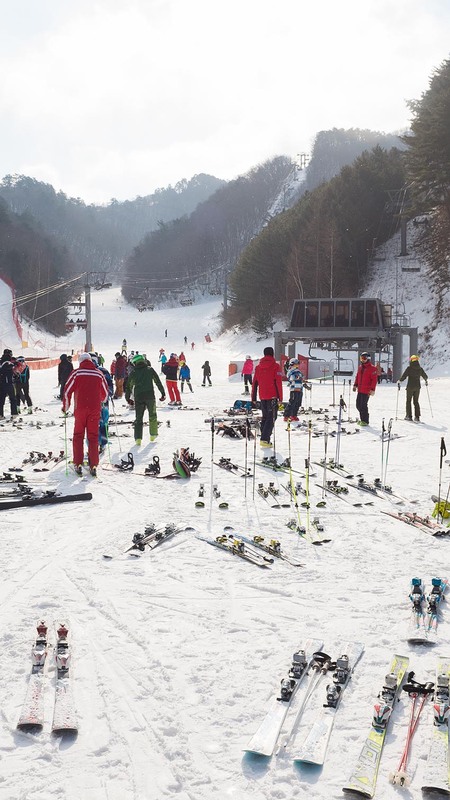 Equipment is left outside while their owners take a break in Gold Snack, a small restaurant for skiers at Yongpyong Ski Resort. 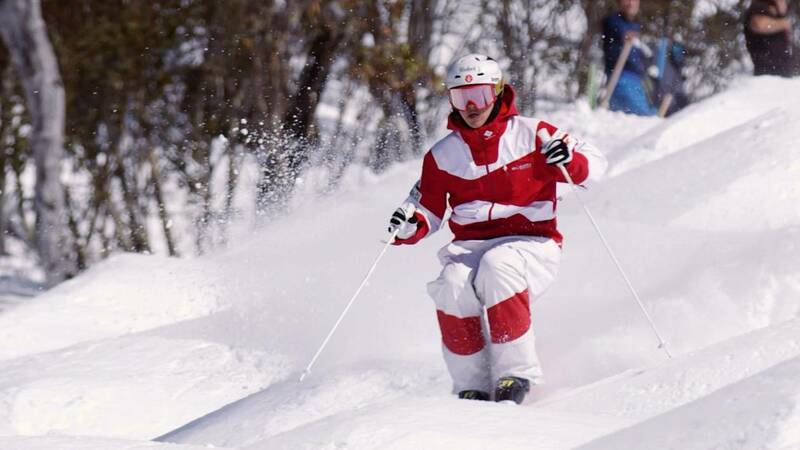 Since its opening, the resort has been home to various Asian and World Cup ski events. 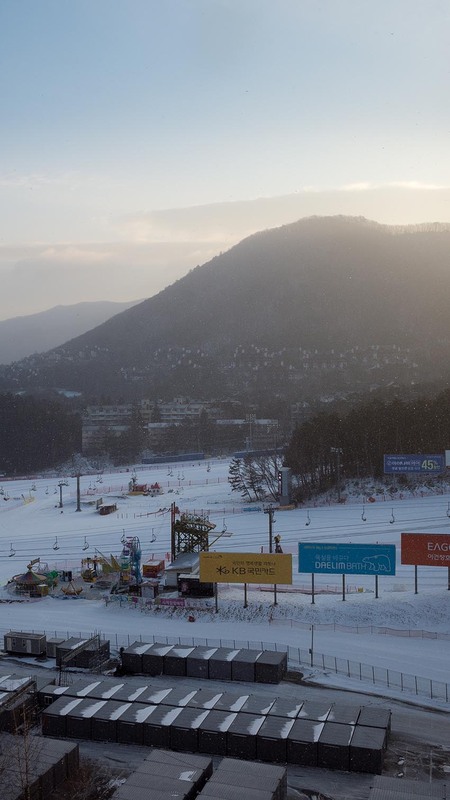 It will now host the giant slalom, slalom and alpine team events at the 2018 Winter Olympics. The mountains at Yongpyong reminded me of home, and parts of the resort felt like the neighbourhood where I grew up after we immigrated. I understood why he might have felt a connection to Vancouver when he first visited, and how that might have informed his work. 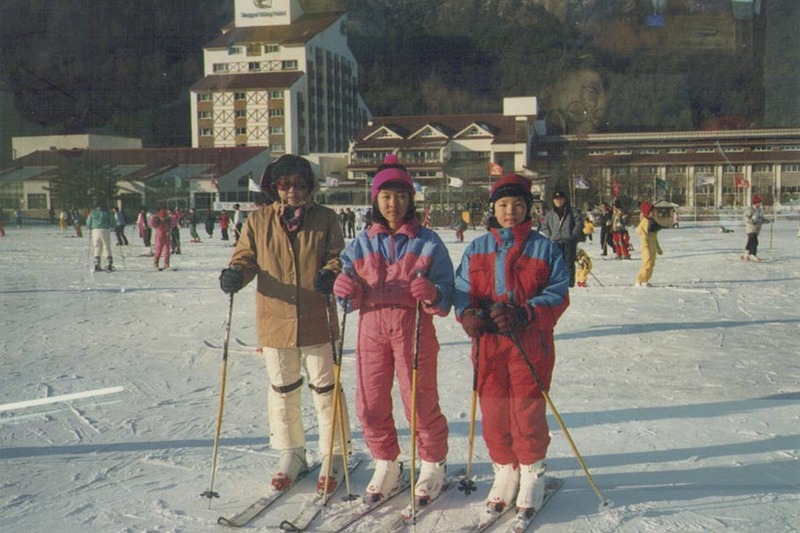 My sister Minjae (right) with my aunt and cousin on a family trip at Yongpyong Ski Resort in 1990. My aunts recounted my dad's humour and charm. Growing up, one of my cousins told me he was “the fun uncle” who sang, danced and joked at weddings. He was so serious at home and I wished I had seen that side of him more often. I thought about how hard it must have been for my parents during their early years of marriage, and I was sad knowing I wouldn’t get to see them grow together through our family’s milestones. I thought about how hard it must have been for my dad to leave it all behind – his comforts, his friends and his legacy – for a place where no one knew who he was or what he had done. 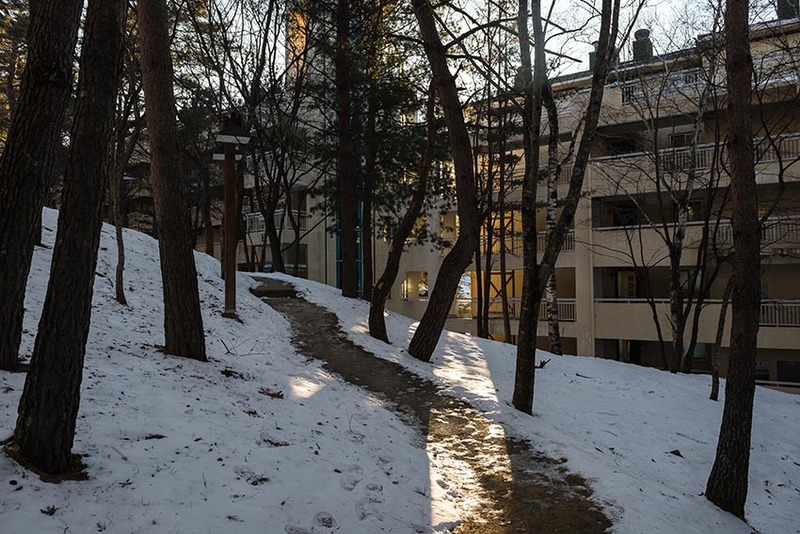 A path winding through the Villa Condominiums, completed in 1989. I climbed to the top of the Villa Condominiums, a complex that was completed in 1989. Cleaners got apartments ready for the next guests. Over the trees, I watched skiers make wide turns down a hill. I thanked my dad. I told him I was sorry I hadn’t asked him about his stories. I told him I hoped he was proud of me, and that I was proud of him. 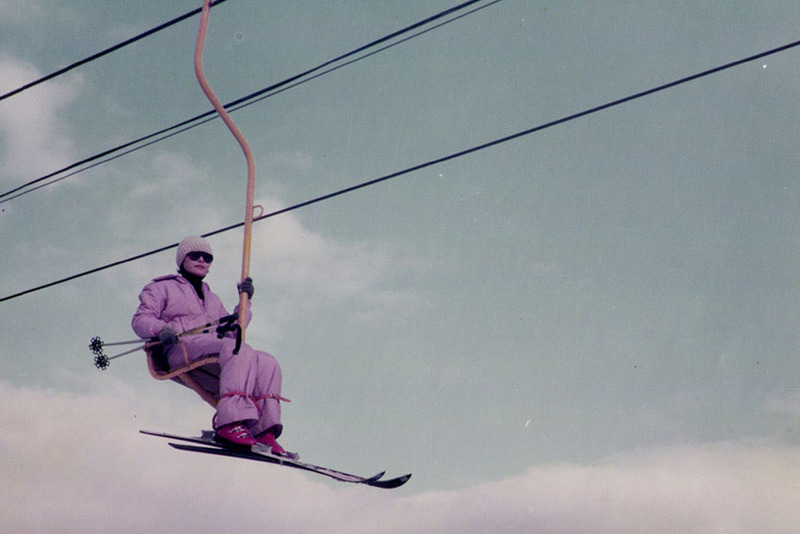 While my dad spent two decades working to design the award-winning Yongpyong Ski Resort, he actually never learned how to ski. Later, I met a father and daughter who were skiing together. I told them about my dad and showed them his photographs, which I carried with me during the trip. The father was impressed. He was right. It wasn’t just anyone. It was my dad.